User can convert large number of MSG files to Single PST via MSG to PST Converter tool. MSG File is the single mail file format of Microsoft Outlook, which stores the single mail with all the attributes like Contacts related to that mail, Content, attachment etc. The PST file is also a file format of Windows Outlook which stores bunch of the MSG files in it. 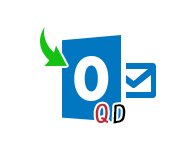 To transfer MSG to PST file, The tool is runnable on Windows 10, 8.1, 7 and below versions. Large number of MSG files are stored in your machine are possible to be converter in PST file extension at once. Users can create single PST file for all the MSG format emails that you have using MSG to PST Converter. Meanwhile the software will keep all the Meta properties intact viz; To, Cc, Bcc, date of creation, sender details etc. The tool provides multiple style preview of MSG mail item. That means, to examine the MSG files for data investigation, users can preview the items in Normal view, Hex view, messages header view, Property view, MIME view, RTF view, HTML view and corresponding email attachments. The tool autocratically locate the MSG files of the system because it consist with Windows explorer style interface. Users can directly browse the folder having MSG files and load the required files in the software, rather than the other files by mistake. View the MSG files in the software then select the required mails which you want to convert or you can convert the whole MSG files to PST. It is possible with this Outlook MSG to Outlook PST converter tool to convert selective MSG files just simply check or unchecked the emails which you want to or do not want to convert. The efficiency of this tool is mind blowing, it can convert all the MSG mails to PST without any alteration. Users can view all minor details of Converted MSG file such as messages text-style, images, hyperlinks, archives etc. MSG to Outlook PST Converter provides two options to view the MSG file with in the software i.e. Vertical view and Horizontal view. The interface of the tool is similar to MS Outlook thus it open in horizontal view, if you want to view content in vertical mode then switch the view mode. Why Need to Backup Outlook MSG to PST converter? Suppose users have lots of MSG files in his backup and all the files are scattered. Whenever there is a requirement of particular file they need to go through with all the mails and Outlook does not allow to import all the individual MSG at once. So, to over come this situation they need to convert MSG to Outlook file format. When the required MSG files are convert in one PST file then it can be easily importable in MS Outlook without any issue. And users can view their mails at one instance they dont need to be searched item again and again. Free MSG to PST Converter will import 10 mails MSG to PST file of each folder. Step 3: Selected emails can be previewed within the software in Normal Mail View. Users can also view file in Hexadecimal code, Properties View, Message Header etc. Step 5: Users can also switch the view of Window from Horizontal to Vertical view. Step 6: Now export mail messages of file to Outlook file, or export single mail as well by selecting the mail and right click then press export. Step 8: Next users can also break the large sized exported Outlook file by using Split option. And Select the destination location of the exported file. Step 9: After completing the above step. You can click on the “Export” button to initiate the export process. Step 10: Live status report of the process. The status report consist: Folder Name, Item Count, Destination Path. Step 12: Export the report created by the Tool. Does it allow complete conversion of MSG file? Yes, this software allows you to convert complete details of MSG emails to outlook along with accurate details. Does the software Outlook MSG to PST converter make any changes in crucial parts of mail? No, the tool doesn't reflect any changes in MSG messages details even after the conversion. In fact MSG to PST Converter is best flexible way to export Multiple MSG files to PST format with important parts of Outlook MSG. Is there any size limitation for MSG file by the software? The software does not enforce the size limitations of MSG file. Users can convert any size of MSG file using this utility. Customer support of the QuickData is Outstanding. They help me alot when i stuck with some technical issues, they helped me and provide me appropriate solution to convert MSG to Outlook PST file. Completely satisfied with the work of MSG to Outlook PST tool. After trying many tools i tried this one and it is way better than that of others which are offering a tool with alike quality.